In the summer we are constantly looking for a no-fuss hairstyles. 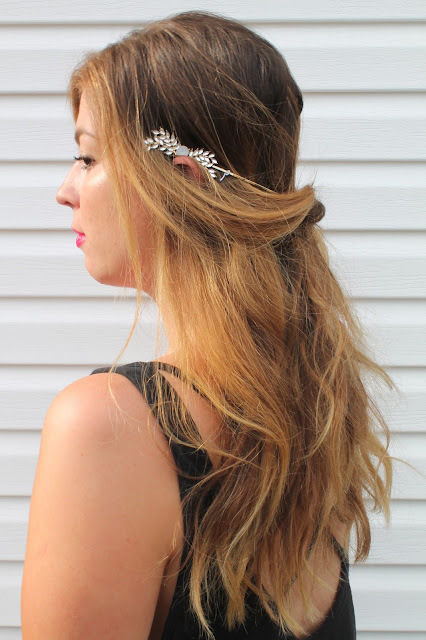 With this look, all you need is a headband or "back-halo". 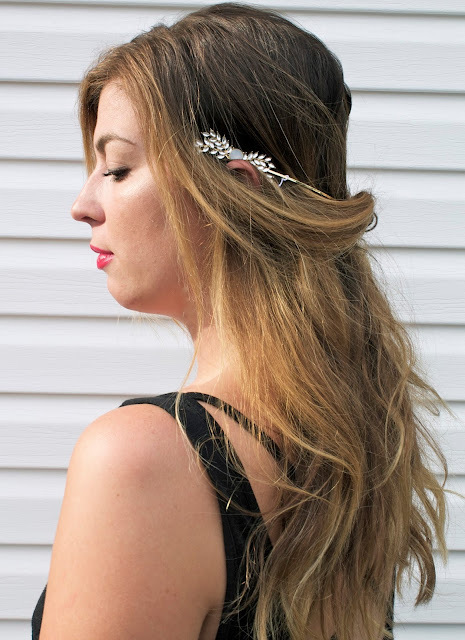 Simply tuck in some strands around the metal and you suddenly look put together.